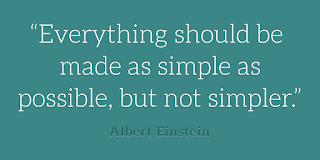 Nothing is simple anymore! Well, almost nothing. The idea of simple went away for awhile. Things got more and more complicated. Ideas grew and compensations were made. People's needs expanded, and steps were added to processes to make sure those people got what they needed. Managers wanted some accountability for the responsibilities of their employees, so boxes and arrows were added to flowcharts to minimize mistakes. Rube Goldberg would have loved it! The more steps, the more fun the machine! Only true with mouse traps, cartoons, and these days...Youtube videos! Simple is now buzzing again. Thank GOD! Question #1 should always be, "What is the purpose?" Question #2 should be, "What is the simplest way we can fulfill the purpose effectively?" Sounds simple, doesn't it? 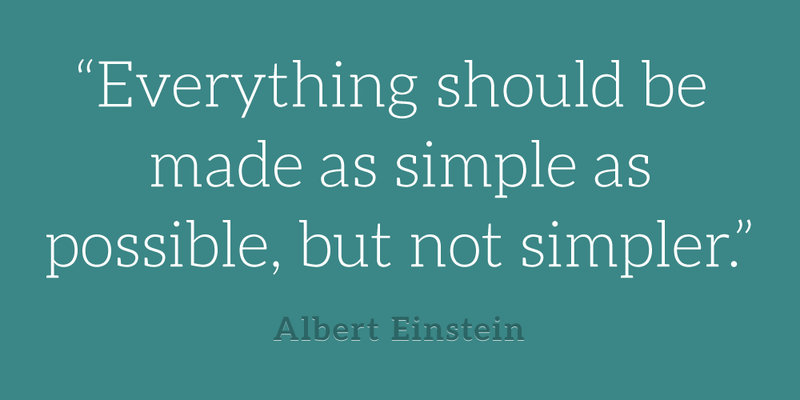 It isn't simple. But it is worth it!